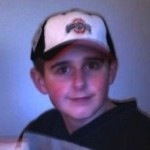 Theodore “Teddy” Foltz Tedesco was murdered by his mother’s boyfriend, Zaryl G. Bush, in January of 2013. Teddy’s mother, Shain Widdersheim, had withdrawn him from public school to homeschool him months before after teachers reported signs of abuse, specifically so that she could remove him from contact with mandatory reporters. The family denied relatives access to Teddy, and isolated him even from friends and neighbors. According to Teddy’s father, Shawn Tedesco, social workers tried to investigate but were not allowed to see Teddy. When social workers investigate allegations involving children who attend public school, they may visit the child’s school to observe and speak with the child there if necessary. This was not possible for Teddy. Lawmakers working with Shawn Tedesco have proposed Senate Bill 248 in an effort to protect children like Teddy. We appreciate and affirm Shawn Tedesco’s efforts and absolutely concur that reform is needed, but we regretfully cannot support S.B. 248 as currently written and it is our hope that the bill will be amended. There are numerous documented cases in our Homeschooling’s Invisible Children database where homeschooling has been successfully used to hide horrific levels of abuse. Not infrequently, children are pulled from school after their abuse is reported in order to prevent future reports. This is what happened to Calista Springer, Jeannette Maples, and Emani Moss, all of whom, like Teddy, died at the hands of their parents. In an effort to address this problem, Pennsylvania state senator Andrew Dinniman proposed S.B. 32, a law with a similar intent but much narrower scope. Similarly, a state child fatality review in Florida, the Nubia Report, recenlty suggested developing a system for flagging at-risk children withdrawn to be homeschooled. For more on this topic, see Homeschooling & Concealing Abuse. Shawn Tedesco and other family members are currently pressing for legal reform in an effort to protect other children from Teddy’s fate. They are pushing for both changes in the state’s homeschool law and reforms to social services. Teddy’s family’s reaction—their desire to find ways to protect other children from suffering Teddy’s fate—is a natural and healthy response. Many parents in similar situations have fought for and effected positive legal change in their grief. This is how the Amber Alert system developed, for example. We strongly appreciate and confirm the efforts and concerns of Shawn Tedesco and other family members. For more, see the family’s website, teddyslaw.org. Sec. 3321.042: When a parent submits the already required annual notice of homeschooling, or provides the notice when withdrawing a child to homeschool during the school year, school districts would provide the names of the parent and child to social services. Section. 2151.4210: Upon receiving the names, social services would (a) conduct in person interviews with both the parent and the child and (b) run the information through an already in existence statewide automated child welfare information system to determine whether the parent, child, or other person in the household has been subject to a documented investigation. Sec. 2151.4211: If there was a previous investigation, or if the interviews indicated that homeschooling was not in the best interests of the child, social services will recommend against allowing the family to homeschool. Sec. 3321.043: The school district may then decide whether to delay or deny the family’s request to homeschool. Sec. 2151.4213: Should the district decide to delay homeschooling but ultimately permit it, the family must first go through an intervention program developed by social services that includes both counseling and classes on various subjects. Once the family has successfully completed an intervention program, homeschooling may commence. Sec. 2151.4212: For families who were required to go through the intervention program but allowed to homeschool, social services will conduct two in-person meetings with both the parent and the child during the course of the year. Sec. 2151.4214: This entire process would be annual, but when a recommendation against a family homeschooling has not been made for four consecutive years it would no longer be required. Sec. 3314.063: This process is also required for students enrolling in an internet or computer based school. CRHE supports a system of additional protections for at-risk children who are homeschooled. However, S.B. 248 as currently written is not an effective solution. The bill creates too much extra work for already overworked social services—there are an estimated 60,000 to 80,000 homeschool students in Ohio, each of whom would need to be interviewed annually, along with their parents and any members of their households—and puts every homeschooling family through the process rather than only flagging those who are at risk. We would would like to see S.B. 248 amended to flag only those children who are at-risk. We support running the name of each child, parent, and household member through the statewide automated child welfare information system and flagging each family that was involved in a past investigation for some form of carefully designed additional protections or oversight. We appreciate that lawmakers in Ohio have been thinking about various forms these additional protections or oversight might take, and are receptive to the idea of requiring at-risk families to go through a carefully developed intervention program. It is our hope that lawmakers will continue to introduce provisions designed to protect at-risk children, and that these provisions will respect the needs of homeschooled students, homeschool parents, and the child welfare system. As our organization grows, we plan to conduct further research on effective and fair protections for at-risk homeschooled children. Note: Senator Cafaro has now released a facebook statement saying that she is committed to revising her bill to meet the concerns of all involved. Her recommendations are in line with ours—flagging only families already in the statewide automated child welfare information database for additional protections or oversight. This is a welcome development. Feel free to contact us at info@responsiblehomeschooling.org.